New grocer to debut in 2018. Last summer, I broke news to the city that a new 365 by Whole Foods Market would open in Paces Ferry Plaza in Buckhead. In case you missed it, or have been under a rock, or have been reading some other site, 365 by Whole Foods Market is essentially the "Nordstrom Rack" of Whole Foods Market. The store is smaller, and "cheaper" and is designed to appeal to millennial customers. The store is "cheaper" due the fact that much of what is stocked is the company's house-brand: 365. Given the excitement, anxiety and questions that followed my original post, I'm pleased to say I can finally share renderings of the renovated center, with updates on how the changes will affect existing tenants and parking. Given the recent closures of Glyn Weakley Interiors, Bean Head Toys and Caribou Coffee, it became clear their parcel within the center would play a vital role in welcoming 365 to the plaza. 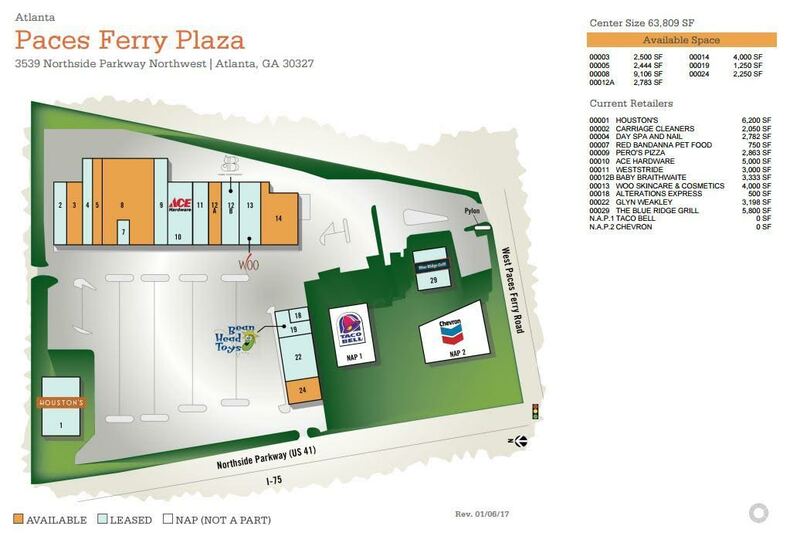 The portion of the plaza the aforementioned tenants occupied will be demolished, along with the adjacent, vacant, freestanding Taco Bell. The endcap space (formerly Paper Affair) on the center's main strip of stores will also be demolished. 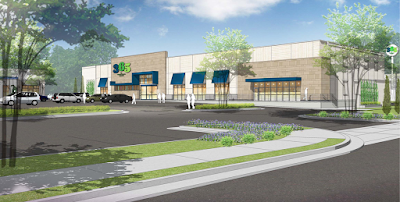 In their place, Regency will construct a 29,740 square foot 365 store with a two-level parking deck below that will feature 14 foot ceilings and provide about 150 spaces, primarily for use by the grocer and valet for Blue Ridge Grill. The parking deck will provide patrons both stair and elevator access. 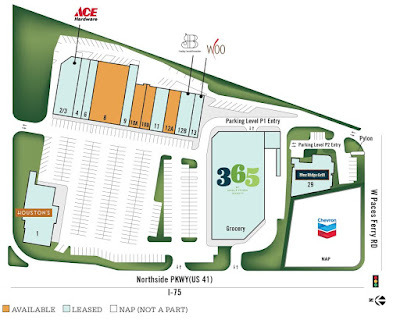 Smith Ace Hardware, an existing tenant in the center, will soon shift to the far left of the center and grow in size from 5,000 to just north of 8,800 square feet. 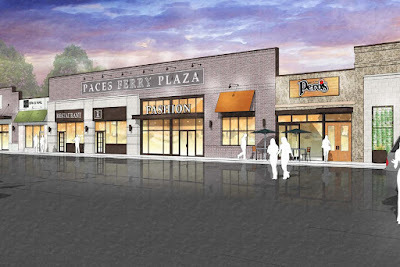 Pero's Pizza, a popular neighborhood restaurant, will remain in its current space and will gain a few square feet according to the property's site plan. Other existing tenants such as West Stride, an athletic footwear & apparel retailer, Carriage Cleaners and Day Spa & Nail will also shift slightly in size and location as a result of the changes at the center. Baby Braithwaite, one of the center's newest additions, will remain the same size and in their same place while their neighbor, Woo Skincare & Cosmetics, appears to be downsizing from 4,000 square feet to just over 2,000 square feet. I have no idea how leases were structured, or restructured, with existing tenants, but many were seemingly willing to move, downsize, and generally be flexible given what many are likely hoping will be droves of new shoppers brought to the center by 365. Overall the center increased from 63,809 square feet to 84,542 square feet. Demolition permits have already been filed with the City of Atlanta with work slated to begin "in the coming months." 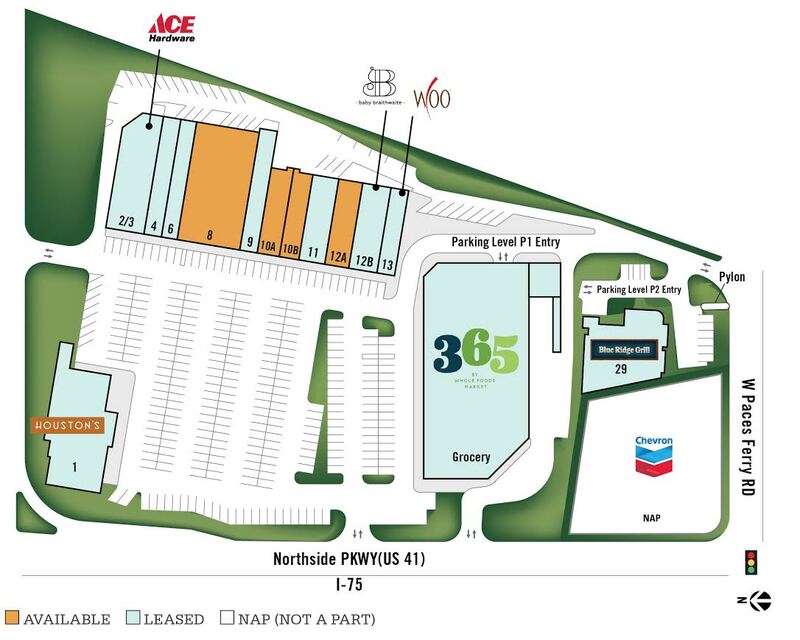 Given all that must be done and the new parcel and accompanying parking that must be built, a source with whom I spoke indicated the plan is to have the new 365 store open late in the third quarter of 2018. Today there are three 365 stores in Bellevue,WA, Lake Oswego, OR and Los Angeles, CA with fifteen more coming soon, including one planned for Decatur, not counting the Buckhead store. In each of the three existing 365 stores, the grocer partners with a quick serve restaurant partner to operate a space within the store. In the Bellevue store, the "Featured Friend" is Wind Ginger Kitchen, a healthy fast casual Asian eatery. In Lake Oswego, the store partnered with Next Level Burger, a quick serve eatery featuring burgers, salads, sandwiches, shakes and other offerings. In Los Angeles, 365 partnered with by CHLOE., a vegan eatery from New York that features a creative menu and is "a collaboration with" ESQUARED Hospitality. While I am not a vegan, or a healthy eater, or even a vegetarian, I'm intrigued by the by CHLOE. menu and would love for them to be the Buckhead store's "Featured Friend" should the program continue and the Buckhead store be included. Decisions such as that are reportedly still being ironed out but but if anyone at 365 is reading this... ANYTHING BUT ANOTHER BURGER JOINT. Please and thank you. What are your thoughts on the changes at Paces Ferry Plaza? 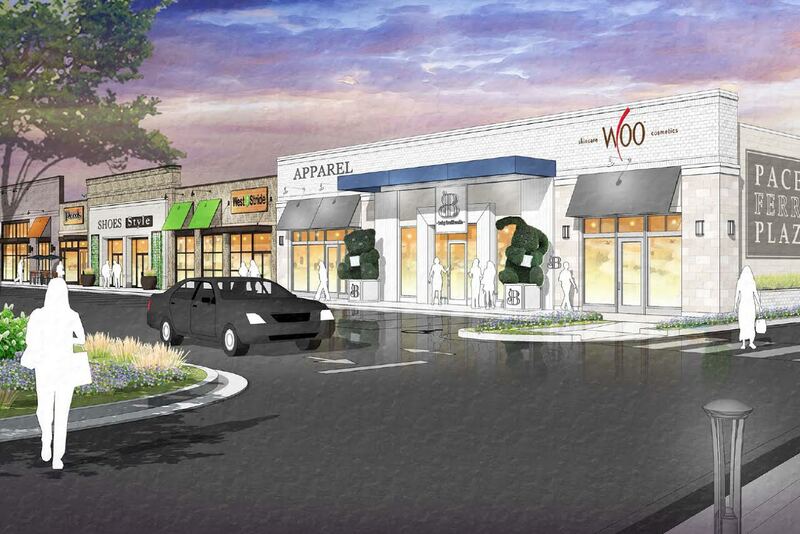 Are you excited for the opening of 365 by Whole Foods Market in Buckhead?  What restaurant or type of restaurant would you like to see be the "Featured Friend" in Buckhead should there be one? This looks like a nice project. Thanks for the report. Is the guy on the corner selling flowers still there? Will he be asked to move? 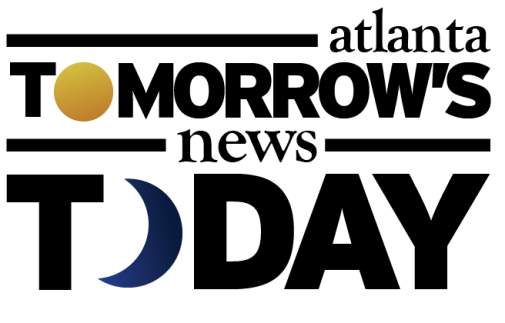 Do the existing businesses have to close for construction? Do they have capital to survive extended closure? Parking is always jammed there already, hard to imagine how this will be managed, but I'm intrigued by the idea. Hard to park midday Lunchtime. Is Peros truly popular? its not with my lunch crowd, but Houstons is always packed. Seems like it would be fitting to have the featured friend be healthy Mexican to replace the Taco Bell (which I'll cop to going to occasionally and noticed its closing, as it stayed open late! ), though there is a Willys across the street already. I like the sound of the Asian Bellevue place, and agree I'd be happy with pretty much anything that isn't another burger bar. The publix nearby is a fine grocery store (also terrible parking) so I'll have to see what 365 is offering, but I'm optimistic. Already miss Caribou and the friendly staff. Still don't understand how they couldn't be accommodated in the new center, although given Caribou's apparent corporate strategy of closing most of their stores, maybe that wasn't going to happen. I go to Pero's fairly frequently at lunch and while it's never packed, there are always people eating there. Glad to see they are adding more parking because my first thought when this was announced is where the heck is everyone going to park!? I vote for Urth Caffe as the featured friend. https://urthcaffe.com/ Would do quite well in this neighborhood. Very excited, but have to wonder why one of the countless new developments up the 41 hill into the Cumberland area couldn't have accommodated this, giving it room to build, with all the parking necessary. I understand Whole Foods doesn't want a Smyrna address, but the Cumberland area south of 285 is an Atlanta postal address. The parking situation doesn't look good, even with a deck will still be a problem. Looks like due to squeeze, there are no medians or trees in the lot. How did they get a pass on that?